What is Neuroforma for rehabilitation centres? Neuroforma uses virtual reality technology and motion capture in 2D and 3D, proved to be useful in neurorehabilitation by scientific research. Neuroforma provides you a modern tool with biofeedback elements, which will make your work more effective and which your patients will appreciate! The Neuroforma for rehabilitation centres unit has now been provided with a balance control training module including a force platform! The new module consists of balance control exercises for enhancing motor and cognitive functions, balance control rehabilitation platform and a safety rail. Each of the exercises has as many as 28 levels of difficulty and the option to set the direction of the leaning required. Such diversity allows to use of Neuroforma for rehabilitation centres and its integrated platform for balance control rehabilitation not only for making better patients with neurological conditions, but also for post-traumatic and orthopaedic rehabilitation of children and adults. We made sure that the new module and the basic unit alike were convenient to use. It gives the therapist a wealth of options, while being really easy and intuitive to use. The security rail and the balance control platform are designed to work even in small spaces. They can be quickly and easily folded, so that the unit is not cumbersome. In order to create the balance control training module, we cooperated with the Institute of Experimental and Clinical Medicine of the Polish Academy of Sciences. Together, we conducted effectiveness studies of motor and cognitive training involving the force platform. 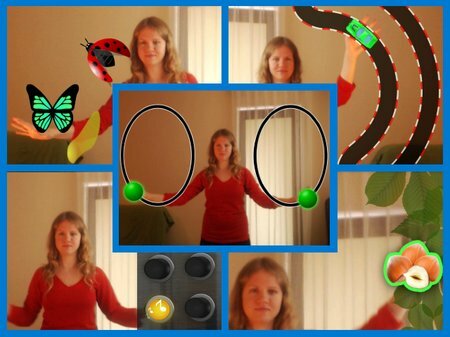 Based on the findings, we have created an innovative balance control training module that implements the dual task paradigm. Neuroforma for rehabilitation centres with the balance control training module is a comprehensive device for neurological, post-traumatic and orthopaedic rehabilitation that will be a great supplement to your practice! What do you gain by ordering Neuroforma for rehabilitation centres? The balance control training module with the force platform, safety rail and a dedicated set of motor and cognitive training (optional module). Fill in the form below and we’ll send a detailed offer to your e-mail address within three working days. I give my consent to process my personal information. I hereby give my consent to Titanis Sp. z o.o. ul. Bruna 2/44 in Warsaw to process my personal information in order to get electronic messages containing information regarding Neuroforma. I declare I know my right to see, change, or request to cease the processing of my personal information. I give my information voluntarily. I hereby give consent for my personal data to be processed by Titanis Sp. z.o.o. ul. Bruna 2/44 in Warsaw in order to get electronic messages containing information regarding Neuroforma. I declare that I know my right to review, change, or request to cease the processing of my personal data. I give my data voluntarily. We will contact you within 3 working days to arrange the details regarding installation of Neuroforma for rehabilitation centres. The Neuroforma station package is intended for rehabilitation centres and other institutions working with patients in therapy rooms, where a comprehensive, precise and easy to use tool is needed. Neuroforma is designed for patients with neurological diseases and injuries. In particular, they support the rehabilitation of patients with multiple sclerosis and those recovering from brain strokes and brain injuries. Neuroforma is suitable for exercising in both standing and sitting positions. It can therefore also be used for work-outs with patients in wheelchairs. The broad range of exercise configurations allows experienced therapists to also use the program to work with other patients requiring motor or cognitive function enhancement. Neuroforma is a little tool with great possibilities that will enrich your practice and improve its competetiveness. You’ll gain many tools in one. The versatile exercises are easily modified and adapted to fit the needs and abilities of patients with different dysfunctions. Your therapy room will become more high-tech. Your patients will like working with Neuroforma thanks to the inviting exercise formats, their versatility, elements of competition and verification of results. You’ll gain time and convenience. Neuroforma is an automated station, where — after starting an appropriate exercise — patients can work on their own. The posture correction module will guarantee that exercises are performed correctly. You will get free updates with new exercises and features for the first 12 months. 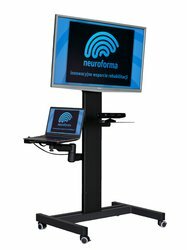 Neuroforma is a little station with great possibilities! 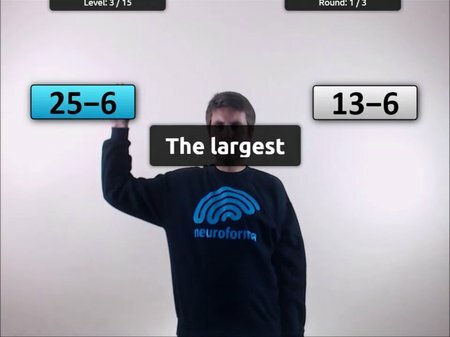 Neuroforma is a convenient device consisting of a big screen, computer system, and 3D optical system which enables precise observation of patients’ activity. The device is sturdy and easy to use. 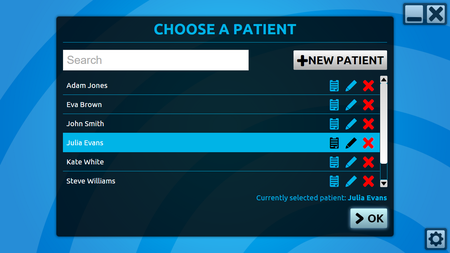 You can easily move it and adjust its parameters to your patients’ needs. The whole station requires only 6 square metres of space to perform the exercises. Versatile exercises for different patients are placed at your disposal. 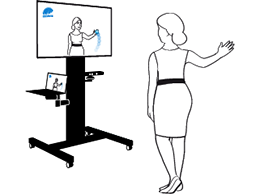 To use Neuroforma, patients stand or sit in front of the screen where they can see their image along with virtual objects displayed around them. Patients’ tasks involve directing their image to catch, move, strike, eliminate or avoid objects appearing on the screen. Thanks to the virtual reality technology used, patients get instant feedback regarding exercise performance (biofeedback). The interactive nature of the exercises combined with their interesting and diverse forms motivates your patients to methodical work with the program. Neuroforma exercises mostly involve patients’ arms. To be able to exercise with Neuroforma, the patient needs to have at least one arm working to some extent. Neuroforma contains exercises engaging cognitive and motor functions simultaneously thanks to the dual task paradigm used. upper limbs and spine muscles strength and endurance. The whole program is completed with breathing and relaxation exercises. Using Neuroforma, you have a continuously growing exercise base at your disposal. 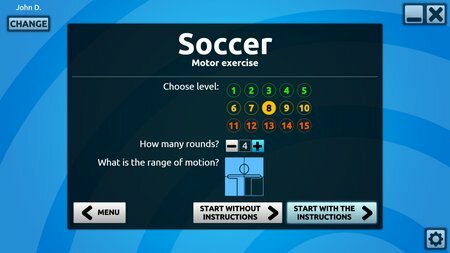 Most of the exercises contain 28 difficulty levels and 4 to 10 range of movement settings which allow you to adapt the exercise to patients’ abilities. All in all there are almost three hundred combinations! 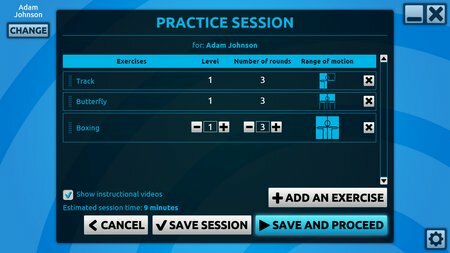 Create varied exercise modules yourself. Hundreds of configurations will allow you to adapt Neuroforma to your patients’ needs, plan therapies for particular patients and verify their effects. The diversity of sessions will make exercising with Neuroforma an enjoyable and engaging activity for your patients. With Neuroforma you can employ mirror therapy procedures in an unprecedented way. Neuroforma provides a separate exercise module in which - thanks to the innovative 3D technologies - a traditional mirror has been replaced with a camera and a screen. 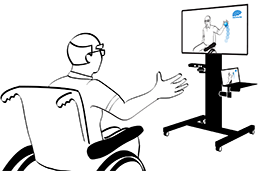 Hemiplegic patients using the module see themselves on the screen making fully symmetrical moves with both arms. Neuroforma mirror therapy module gives patients freedom of movement unattainable with the traditional approach, and gives a very real impression of images perceived on the screen. Use ready-made exercises or modify them in accordance with your patients’ needs. Neuroforma exercises are designed in a way which allows you to work with patients who have very little range of movement in one or both arms. Before starting a ready-made exercise, choose the difficulty level, number of repetitions and range of movement required. You can easily change these settings any time you want. Collect session data and observe your patients’ results. trends observable over longer periods of time. It’s easy to set the next session - based on the information from the previous sessions the program will suggest appropriate configuration parameters. Neuroforma ensures your patients exercise correctly. The patient’s posture is very important, both at the start of and during the exercises. The 3D posture module effectively addresses this problem by using cutting edge three-dimensional picture analysis technology. or if they do the exercise incorrectly. Neuroforma can automatically detect all of these undesirable situations. Neuroforma gives patients clear and easily comprehensible instructions how to perform exercises. and the motor and cognitive functions being improved. During the exercise patients will also hear instant feedback regarding their performance. Thanks to the multimedia instructions module in Neuroforma, your patients can exercise unassisted while the risk of them exercising incorrectly is minimized. Neuroforma for rehabilitation centres will allow you to work on balance control with patients suffering from neurological and orthopaedic conditions and injuries. The module is very easy and intuitive to use. 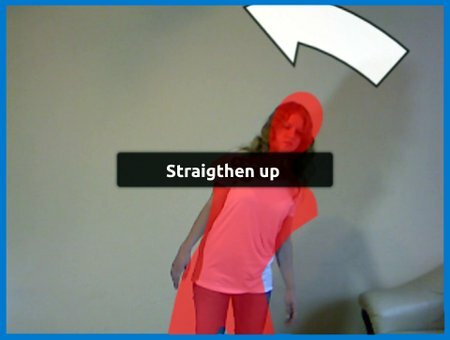 Each exercise is preceded by several seconds of calibration, when the Kinect camera and the stabilometric platform read the patient's position. The training is designed for patients with various fitness levels - each contains no less than 28 levels of difficulty. Also, training settings allow you to select the direction of the leaning required, so that you can customise it for each and every patient. For patient safety, the balance control module comes with a dedicated safety rail. It takes only a few seconds to fold it, which is a space saver when patients do not exercise balance control. A great variety of tools makes the balance control exercise module suitable not only for the rehabilitation of neurological patients, but also for post-traumatic and orthopaedic rehabilitation. The feature that allows you to create and assess rehabilitation programmes while providing the patient with feedback on the correctness of performing particular exercises is a befitting supplement for the conventional rehabilitation programme. In the Neurological Rehabilitation Department, approximately 30 patients were offered the chance to work with the Neuroforma system. They found the programme very helpful and were eager to participate in the training. Our opinion of the Neuroforma programme could really not be more positive. Neuroforma is a priceless addition to the motor rehabilitation of stroke patients and patients with cognitive impairment. Patients conveniently recover their lost functions, while real results give them satisfaction and motivate for further efforts. In my opinion, it is a truly excellent complement to the conventional therapeutic process that develops motor skills, coordination and stimulates cognitive processes. The implementation of Neuroforma into our multi-profile rehabilitation package has enhanced the offer of our centre, contributed to the improvement of the psycho-motor condition of many patients, and we can sincerely recommend Titanis Sp. z o.o. as a partner to work with. Our main distributor of Neuroforma for rehabilitation centres is Meden-Inmed. Since 1989, Meden-Inmed Sp. z o.o. has been a major producer and a distributor of professional medical facilities. As a company with a long-term tradition, they pay special attention to patients’ needs. Their mission is to serve the medical staff and their patients, developing high quality, technologically advanced medical equipment.